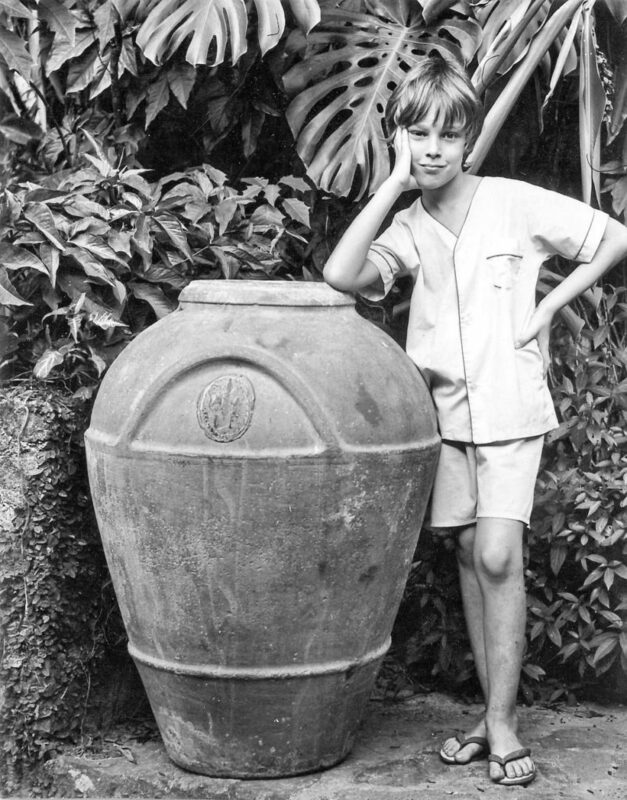 In 1975 we lived in a house in Gordon Town, Jamaica, and in the garden the owner kept two, 500+ year old Spanish jars. One day a photographer turned up to photograph the jars for a magazine – National Geographic, Jamaica Journal, History Today, I forget which. The kids were playing in the garden, and the photographer took a few shots with them in it, not for publication but for us. This one included Dominic. In the last week of September this year, Dominic came with us to stay in lovely Mia and Guy’s apartment by the Med at Valras-Plage, in the Hérault, Languedoc. 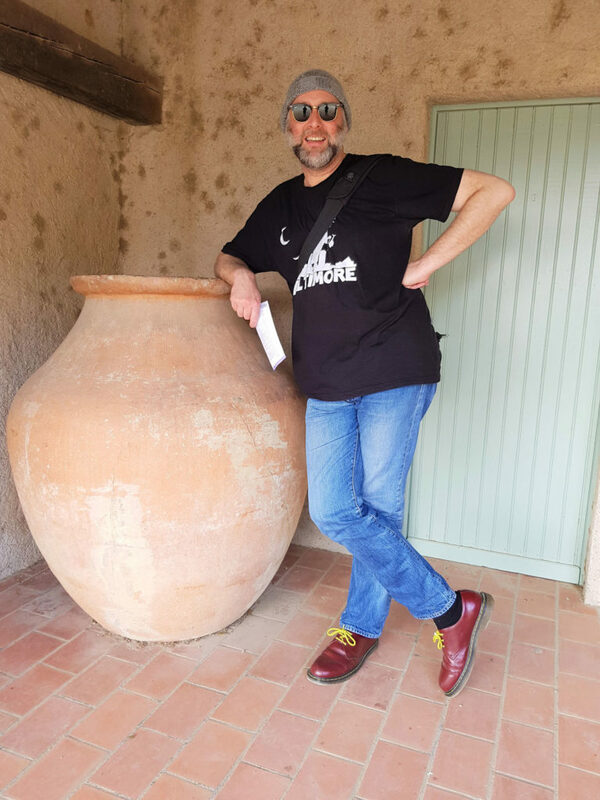 On a visit to the Oppidum d’Ensérune, near Béziers, we came across another large jar, this one 2000 years old and Gallo-Roman, not Spanish. Fortunately we had Dominic at hand for the photo. 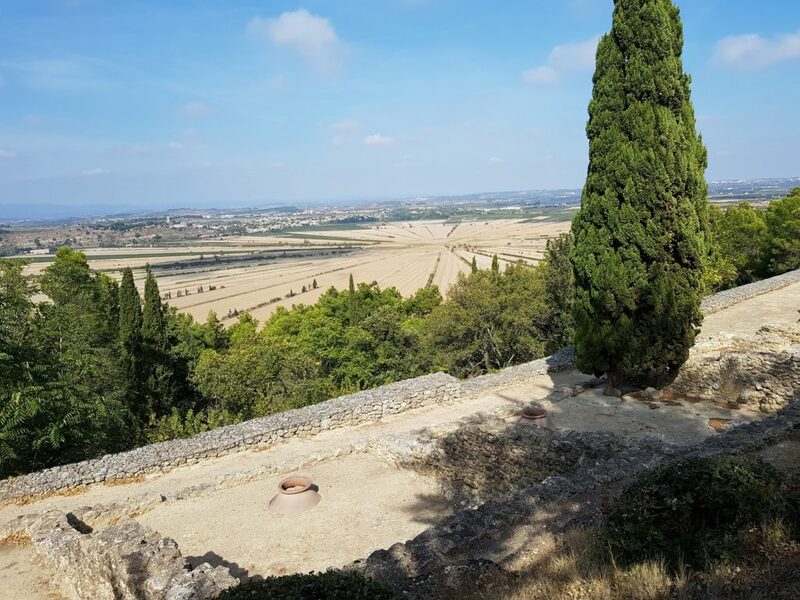 The Oppidum is an amazingly well preserved Gallic village which was occupied without interruption between the 6th century BC and 1st century AD, its location being chosen probably because it was a hill with good views over the entire coastal plain and out to sea. 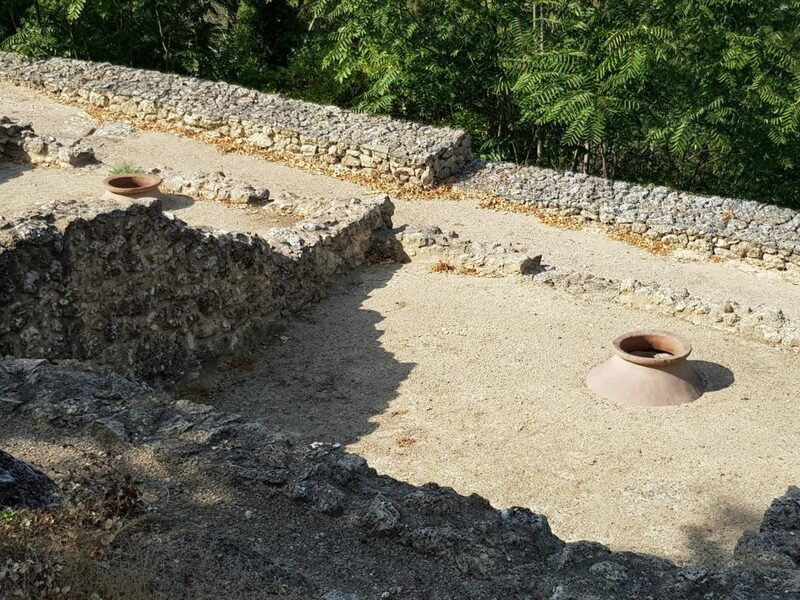 The dolia were buried in the ground on the lower floor of the houses and were used for long term storage of food such as grain, pulses, nuts and dried fruit.